AMC Trails Blog: AMC St. John Vol Trail Crews - Feb. 2013! AMC St. John Vol Trail Crews - Feb. 2013! The AMC continues Adult Volunteer Vacation programming in 2013, kicking the year off with not 2 but 3 weeks on the U.S. Virgin Island of St. John this February! 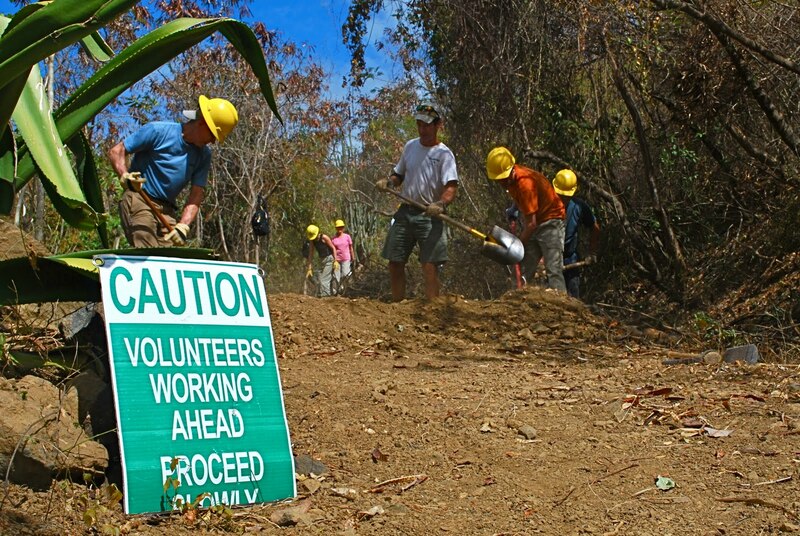 In conjunction with The US Virgin Islands National Park and Friends of the Virgin Islands, AMC sends trail crew leaders from its North Country Trails Volunteer Programs, to work on the park’s trails with volunteers. Each of the three weeks in February, we welcome twelve volunteers aged 18 and over to share in this unique experience. Hint: It’s 85 Degrees F there (on avg) every day!